“We have heard recently that a few customers have been flying loops and other aerobatic maneuvers In their Lazairs. While there is no doubt that the Lazair Is capable of executing some of these maneuvers (as demon­strated by the Ultraflight factory test pilots), this type of flying is definitely ~not recommended for the average Lazair pilot. The Lazair is stressed for 4 g’s positive and 2 g’s negative. 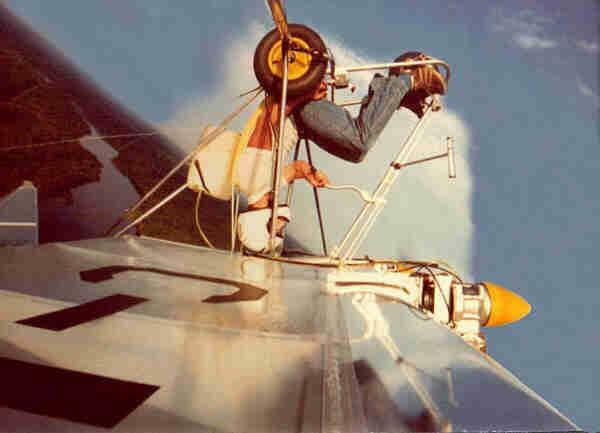 This is quite adequate for any normal flying conditions but it is not even close to the stress requirements for fully aerobatic airplanes. As an additional note, the Lazair was known for being one of the few aircraft that could enter a loop and exit at a higher altitude than it entered. Most aircraft exit the loop at a lower altitude than they entered.